Thanks to CmarNYC that created a tool that may fix the crash problem for those whose have Intel chipsets and/or Windows 8 system. 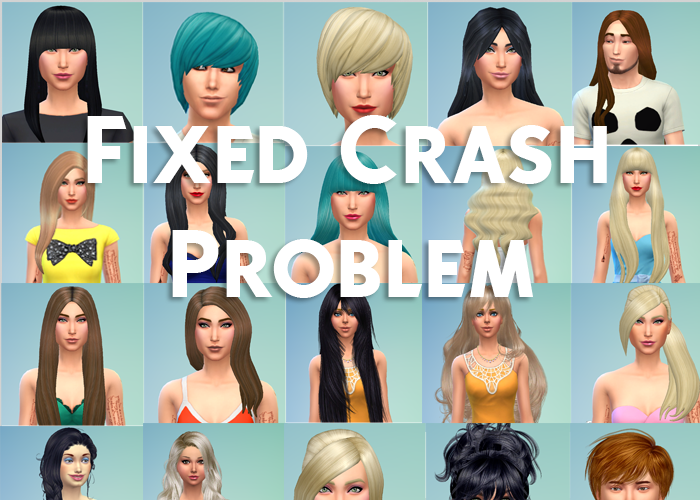 All hairs have been updated with a third link with fixed crash problem! David, seu trabalho tá fantástico!!! I have an intel chip and widows 8.1 your conversions never crashed my game, hmm. but others have. I have windows 8.1 and they did crash my game, which I hated because i love your hairs. Thanks for fixing this. how does this fix work? do i have to download something? You have to choose the hairstyles that you want, search for the the old posts of the hairs and download them from the 3rd link where it says "fixed". If you have the old versions, you need to delete them from the Mods folder before you install the fixed ones.